I think that the first thing that I would say is that At the Dark Hour is not really about the war at all. It happens to be set in the Second World War but it is not about the war. The war is a crucible for what happens. The war makes things happen. It “accelerates things” to paraphrase what one of the characters says. But, essentially, the war is a backdrop. It is the curtain at the back of the stage. It is a story about ordinary people caught in an extraordinary situation where death could be waiting around the corner for any one of them. But the war remains a curtain at the back of the stage. Every era has its curtain and some of them are darker than others. I don’t think that I can think of a darker scenario than living in London through the Blitz. So, it is not about the war as such although the war is a central character. The war is a catalyst as well as being a crucible. It accelerates things. It leads to Julia breaking off her affair, without proper explanation, with Adam Falling. The reason she does so is the evacuation of her children after the declaration of war against Germany. This is always understated in the novel. You have to work it out for yourself. However, she loves her children so much that the enforced separation from them makes her realise what will happen if her husband were to succeed in divorcing her. She will lose them and she will lose any financial support (at a time when women were not expected – or often allowed – to work). She has to make a choice between Adam, whom she loves, and her children. She loves her children more. Adam has been carrying on a happy affair with Julia and no one appears to have noticed. Not even his wife, Catherine, who is more intelligent than he is. But in the period between the evacuation of the children and Julia’s ending of the affair, she has noticed a difference in him. She concludes that the war brought this on and gets as far as pinning the time of the breakdown of their marriage to the evacuation of the children (their child included) but she cannot work out why. All she knows is that Adam has become “detached, uncoupled, disengaged”. So, the war is responsible for that acceleration of things but this does not make it a novel about the war. Of course, we learn all about the blackout, food rationing, bombing raids, the massacre of all the pets and the imminent threat of sudden death. But that does not make this a story about war. It is instead a story about love and redemption. It is about the nature of love. Can one love two people at the same time? Well, yes, I think that you can. However, on the other hand, when it comes to that sticking point you will realise that you love one person more than you love another person. And you will make a choice based upon that realisation. So, the question inevitably becomes: did you ever love the other person at all? I have been pondering this particular question. I have always written. I spelt my first word (“shell” actually) at the age of 18 months and, with the aid of my mother and grandmother, I was reading before I was four. I have always written or imagined poems and stories. I have written hundreds of poems as well as songs, short stories and novellas. I remember, under exam conditions when I was 14, being given a picture of a frozen lake and being asked to write a story about it. I imagined a fox hunt in the dead of winter. I imagined the fox being cornered by a pack of hounds and the only way the fox could go was out onto the lake. I imagined the fox venturing carefully onto the lake with the hounds baying behind him as he went further towards the middle. I imagined the ice beginning to fissure and crack. But still the fox went on further. Behind the fox the baying hounds were getting closer. Then, just as the fox felt that the ice was bound to break, he tip-toed away from the creaking surface and found a different way back to solid ground. The hounds, following the scent rushed after him. The ice broke and they all fell in and drowned. I hadn’t thought about this essay, really, until I was asked the question “why do you write?” I thought of another essay that I wrote at about the same time. The theme was based on the poem by Philip Larkin 'Why should I let the toad, work, squat on my life?' I wrote a story about a Japanese commuter taking the Bullet Train from Tokyo back to Osaka in the 1960s and making the decision to give up working on financial things in the city to become a pearl fisherman in Osaka in the knowledge that he would not ultimately do so and would have the same conversation with himself on the commute the following day. My English teacher said that it was the best story he had ever read. I continue to write almost in spite of myself. I write songs with various collaborators (I write the lyrics whilst I leave the music to them), I have written hundreds of poems. 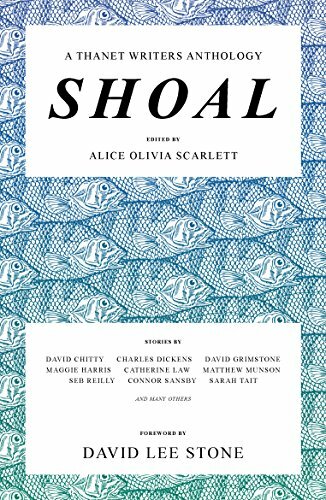 I have never really got round to trying to get them published although I did submit a poem on the death of Orwell which was published in the Literary Review. I have written a novella, A Short While, which my god-daughter, Hannah Sharp, and I are turning into a screenplay – about cancer in the home counties. I am writing another novella which begins with a hundred mechanical parrots squawking “Give me your money” in a garden in Gipsy Hill. I have written a series of children’s short stories about two female wombats, Wallis and Wendy, who escape from the circus on their tandem with their ukeleles to perform at the Ayers’ Rock Country and Western Music Festival (“sometimes it’s hard to be a wombat”) which my good friend and great artist, Candida Spencer, is illustrating for me. So, I am always writing and it is an uncontrollable urge that I am not sure how to satisfy. I think that I look into my imagination, see what is there and then write it down. I’m afraid that I associated with all of those comments as well. I particularly liked his comment that at the bottom of any writer’s writing there is a mystery. The writer wants to show off how great he is but at the same time, he (or she) wants to remain a mystery. If a writer can achieve Orwell’s “transparent pane of glass” then the writer’s own life can remain a mystery. I like that. The writing is ultimately about the story and not about the writer. I think that most writers, ultimately, want to remain hidden. There was another theme. This novel is set in 1940 and 1941 and it concerns a love affair that began in 1936. Well, that is 82 years ago. Some of the characters were already in their fifties. The younger characters were in their thirties. The youngest child was born in about 1935. So, basically, every character in this novel, with the possible exception of Julia’s daughter Agnes, is dead. I thought that it was interesting to write about love, passion and deception for characters who are no longer with us and, let’s face it, we won’t be around that long either. I think that the readers expect the writer to provide something of a firework show. I agree with that notion. I think I am paraphrasing Don Simpson, the late and legendary Hollywood film producer, who said that he liked his films to start with a massive explosion and then build up to a climax from there. As a novelist, I disagree. I think that the reader wants to have a firework show but, also, that he or she wants to wait until it gets dark before it starts. One has to build up to it. The kindling has to be put in place, In addition, one needs to be sure that everyone who needs to be there is there. Then one has to find the right moment to strike the match. And after that one has to find the right moment to light the fuse. If you can time it right, as a writer, then you will have a very good firework show and that should please the reader which is, of course, the most important consideration. I think that, although I have written much that I am proud of, At the Dark Hour is the greatest thing that I have ever written. I hope that your readers will also like it. Originally from Wigan, John Wilson is a QC at 1, Hare Court, London who was called to the Bar in 1981. He has written or contributed to a number of academic textbooks, written very many articles and is a published poet. Wilson drew on his many years of experience of family law (and in the early days criminal law) and upon the misogyny and homophobia which were characteristic of the law at the time the novel is set. When not working in London, Wilson spends as much of his time as possible in the South of France, where the novel was written, and travels extensively. 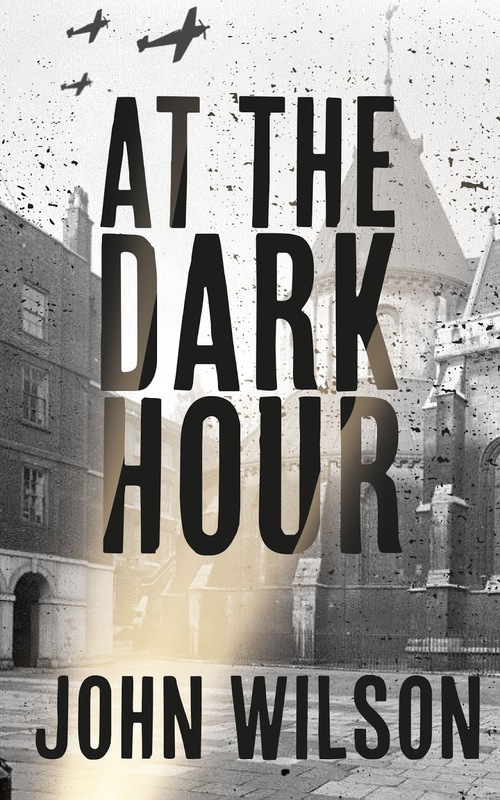 At the Dark Hour is available to buy now. For more information about John and his work, you can visit his website. Today I am thrilled to be welcoming author Michael Stephenson to The Writing Greyhound for a chat about his novel The Man On The Roof. 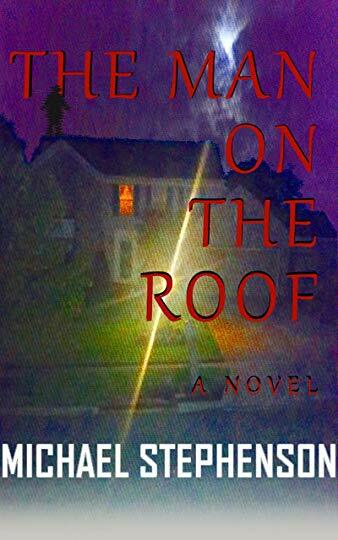 I am Michael Stephenson, author of the new psychological mystery thriller The Man On The Roof. I have written at least eight books currently on sale at Amazon. Also, I have released two serials: The Writer currently in season 4, and Extraordinary currently in season 2. I wasn’t so much interested in writing as I was in storytelling. It was through film that I came to writing. I’ve always wanted to be part of the film/TV industry but I discovered that some of the stories I wanted to tell had too great of depth and detail for the screen alone. Also, I realized that to be the ultimate creator and not just the curator of an idea (movie directors, actors, producers) you had to be at the genesis of a story. You had to be the writer. So I became what I thought was necessary to entertain, challenge and create art. Tell me about The Man On The Roof. The Man On The Roof was written to be an experience rather than just a novel. On the surface, it is “about” a 17-year-old boy’s murder. It happens at the end of a quiet lane in suburban Ohio. The suspects: The five couples of varying ages that live in the houses in front of the murder scene. Someone is hiding a secret worth killing for, and the victim knew that secret. I designed The Man On The Roof to be a re-readable challenge to mystery lovers who often either guess the twist or know who did it after a few chapters. It has a slew of mysteries that it beckons you to solve before the reveals begin to pile on at the end of the novel. And in doing so, it briefly explores some of the darker themes we encounter in society on a daily basis. Everything from self-harm to racial tension to ageism is touched on in the book. It’s a novel that, regardless of how you feel about it, once you read it, it will stick with you, and quite possibly in unsettling ways. I would actually compare it to Gillian Flynn's work. Fans of Gone Girl or Sharp Objects should find it engrossing. What drew you to the psychological aspect? I’m fascinated not by why people decide to do bad things, but by why other people are so fascinated with someone else’s bad nature. For instance, why is the world obsessed with true crime stories right now? Why do we want a villain we can identify with or why do we foolishly believe that villains are always the heroes in their own stories? Note that the latter doesn’t tend to apply to real-life villains. The majority of killers, serial killers especially, know they’re sick and doing wrong but continue to do it anyway because of some compulsion. Rarely do we get a Son of Sam who was convinced that he was saving people by killing them because his dog told him to. We usually get a Ted Bundy or insert mass shooter, someone who has suffered a past pain so they want to inflict pain on others. There’s no “hero in my own story” there. Yet, people are fascinated by the bad and want to make sense of other’s evils. To me that is the main reason why one would write a psychological novel, not to explore the killer(s) mind but to look at the people around them. 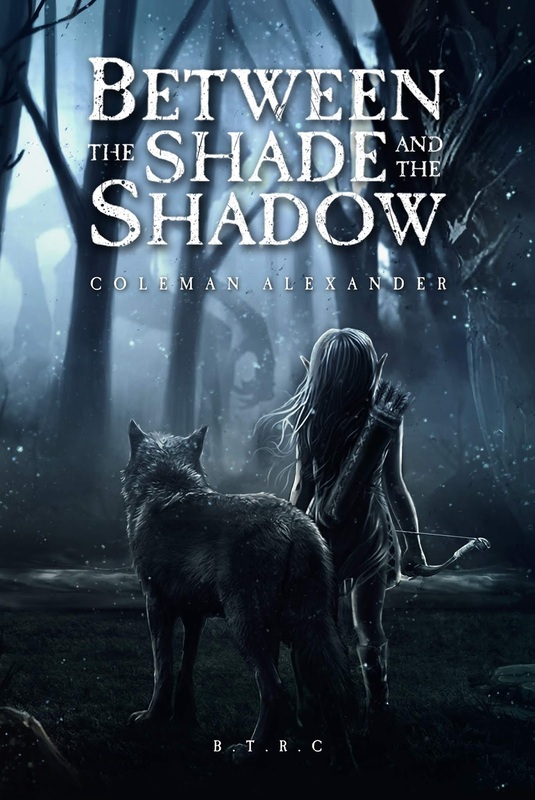 In my opinion, the reader’s opinion of each character in the book and how the plot unfolds says more about them than it does about the characters or even me as an author. Yes, I did a little. For starters, a lot of what’s in the book is in the news. 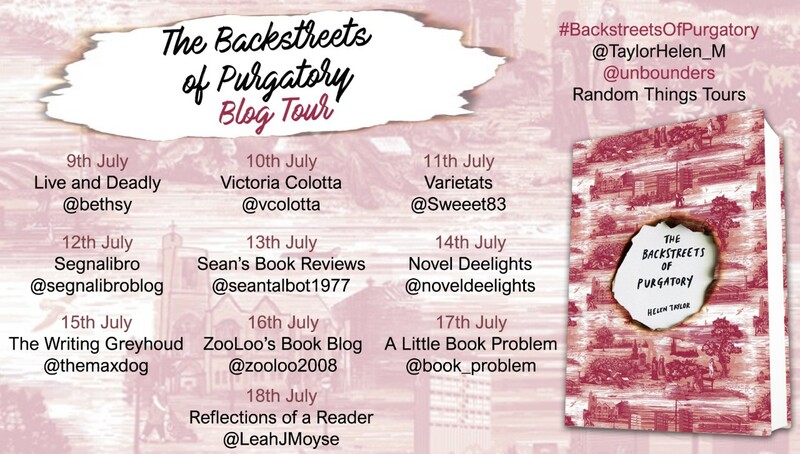 I also crafted the book based around what I’ve seen from readers on popular book sites like Goodreads. I can’t go into it here because it would constitute a spoiler at the moment, but there’s a full layer of the novel that could easily be missed by readers who no longer dig into books for deeper interpretations. Hint: the book is very much about the reader and not just the story. But as far as research, I can’t reveal much of what I did regarding that either because it would constitute a spoiler. Funny enough, I crafted this into the structure of the novel: It’s nearly impossible to talk about without dropping some spoilers. If I say even one thing about a character, then the reader might look for it and figure things out too quickly. 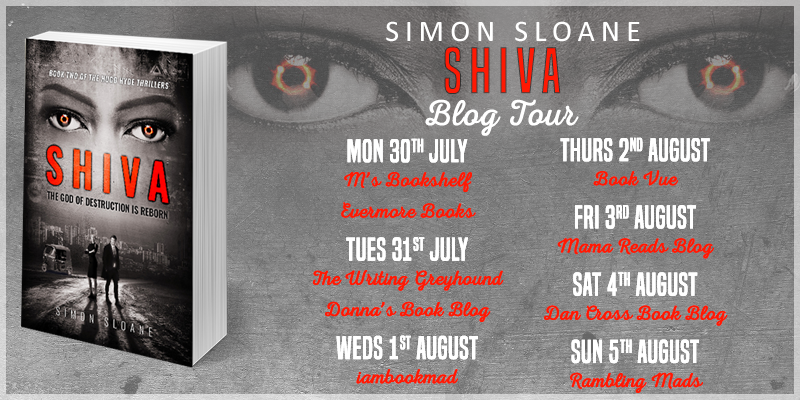 So I had to be extra careful in what wording I chose both in the novel and throughout this blog tour. I’ll say this: It has a small element of the #MeToo movement in it that widens the conversation. It really just came to me. I’ve told the story about how I was originally going to write a short story that mimicked the Twilight Zone episode in which William Shatner’s character sees a man on his plane, and how that drastically changed into what The Man On The Roof is. Outside of that, there was no one strike of inspiration. I didn’t even start researching until after I had started to write the book. It was a moment of “this is a story that I can tell and this is the way I can tell it.” I did have to think consciously about all the layered ideas within the story. It’s dense with ideas that can be and most likely are missed. But as far as inspiration, there really wasn’t anything for me to feed off of at the time I first wrote the novel. It wasn’t until years later when I started coming up with comparisons. I think we sometimes get too lost in inspiration as both writers and readers. For me, there’s only true inspiration half of the time. Usually, a story just pops into my head for no reason. I’ll write it and sometimes I release it, sometimes I don’t. That probably sounds bad, but it’s really that simple. Chaotic, yet mentally organized. I start by building the character profiles which usually takes about a day or two. If I can’t fully envision a character from head to toe and see their past and their future from the start, then chances are high that the character is superfluous. Then I will usually know where I want to go, where I want to start and one or two scenes/circumstances in the middle and I will go from there. I’ll write the scenes that immediately come to me first, leave a few notes at the end of the day for the next time I write, then pick through those notes when I return to the keyboard. So long as what I’m writing gets me to the end how I originally saw it, I’m generally pleased. However, I have to say that I switch writing styles and processes depending on the project at hand. I feel I have to be a storyteller first, so whatever serves the story best is what I go with. For instance, on my two serials, I have a completely different process. Due to the structure and expansiveness of those narratives (they are written to mimic a TV series) I have to plot out every single beat of the story for the entire season. Each season is either 10 or 15 episodes, roughly three times the length of The Man On The Roof, which I’m told is a long read. So, it varies. My normal go-to answer for this is grammar, but in thinking about that question more critically, I’ll actually say that there isn’t anything that hard about writing, as there is about the process of being or trying to be an author. I’ve been doing this for a while now, and I can go on and on about the setbacks I’ve experienced, about the harassment, about the deals that magically disappeared, about stolen work and the like. What I’ve learned over the years is that the hardest part about this pursuit is not being understood. Writers, true writers, only write for two reasons: either to understand or to be understood. Sometimes that “understand”ing is to understand one’s self and sometimes it’s an outward thing to understand the world. So when readers misinterpret things, that is what kills. That and not being read at all. I would say this: It is easy to write something false, difficult to write something true and even harder to understand truth without bias. That probably sounds like a puzzle or a rant into the void for your readers, but hopefully, it’ll make sense in a few years. I’ll leave it at that. It depends on what you mean. If we’re talking about strictly through their writing, then I’d go with Stephen King, Gillian Flynn, and Dean Koontz. If we’re talking about through their life and the way they lived, which I believe is definitely a factor when we look back on “the greats,” then I’d say Poe, King, and Emily Dickinson. Each one’s life represented/s varying forms of the struggle of being a writer. They also show how some work is not always ready to be received when it is written. As for the authors I chose solely on their work, I think that they all write in a way that is intrinsically creative and uninhibitedly free. Their narratives are truthful to their characters, and they really aren’t concerned with offending. They break the writing rules both narratively and grammatically and get away with it because the stories are so involved. I think that’s what most writers want to do but either don’t have the fanbase to do it or aren’t fully brave enough to put themselves out there like that. Don’t always ascribe to the advice you get in your creativity classes (creative writing, writing, drama, other art classes). I think because we’ve all taken the same classes that say the similar things about art critique it’s started to heavily influence how we consume something BEFORE we’ve even consumed it, which is going to lead to bad entertainment. I think this is what’s happening in the film industry right now. We’re going into films with too many expectations about what that particular film is supposed to be and what it should be doing at every beat. The moment it doesn’t hit that, we’re ready to crucify the film without greater thought. We’re concerned with what we think a piece of entertainment should have accomplished as opposed to what it was actually trying to accomplish. It all boils down to writers writing the story first and foremost. Don’t try to write to expectations because the story will come off as bland. Don’t just “write what you know” because no matter how much you think you know about something, whether it’s being a junky or being a neurosurgeon, someone will always say they’ve had a different experience. Don’t feel like you just have to write how you see the world. It’s similar to as Gillian Flynn once said. Most murder writers are actually optimistic, well-adjusted people. Just because a book is dark doesn’t mean that’s how she sees the world. No, above all write the story as it comes to you. Writers, especially ones who haven’t written much, often battle with their stories because they won’t let the narratives come to them naturally. They try to force-think the story down a certain road and then get writer's block when it doesn’t follow that path. They're allowing their own expectations to muddle the narrative. Write the story without thinking about restrictions. Worry about those later if you must. I actually had to take a break and do some reassessment of my career. I sometimes go through these bouts of what I call writer’s apathy, which is worse than writer’s block. Writer’s block implies that you can’t think of what to write next. I know exactly what I should write next, but I’m having a hard time gathering the conviction to do it. Right now, I’m (sorta) still working on the edits for my next psychological mystery thriller The Ones That Stare (is it number 4? People who have read The Man On The Roof will get that question). I originally had it planned for a December release but that may be pushed back to January or February of next year. It’s another book that, hopefully, breaks the normal mold of what people are used to in these kinds of novels. It’s a much simpler narrative than The Man On The Roof. We’ll see if I can gather the strength to finish these revisions from my editor and get it out for review. I’m currently not reading anything fictional. I was reading a short horror story by Dicey Grenor called Along Came a Killer. That was good if you are a fan of the wider novel series. 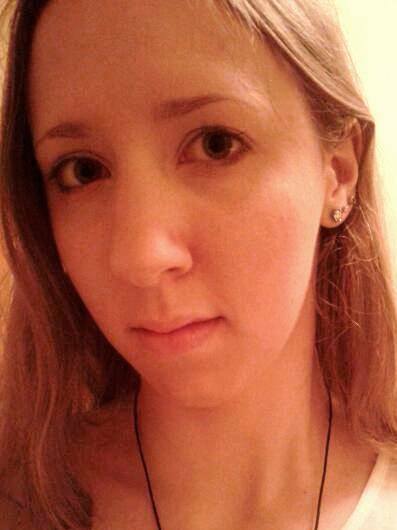 She’s an independent author in the romance-horror genre. Anyway, right now I’m reading a book on aerodynamics and another book on engineering and researching articles on graphene. Have to get my research at some point. You know, someone else asked me this same question and I might have given a book by Stephen King or something. I’ll always prefer the Bible over most other stories, non-fiction or fictional. I’d have to say that I don’t have a favourite book. I love story too much to choose just one. I think this question is made even tougher because I’m not a sentimental person, so I don’t bond with stories as much as others. But I guess if I had to pick one, I’d say Jurassic Park by Michael Crichton (I picked this book as the one I would write if I could). It’s always fascinating to see the lengths that people will go to fulfil a dream or desire, which the book perfectly shows. I want to get back to writing film and television. I know some novelists and readers cringe at that and want to dissuade from writing novels as some springboard to write film but I had written for film before, so... Plus, I think that in order to stay relevant these days many writers are trying to vertically integrate so that they are writing on all levels of the entertainment and art spectrum. I’d like to release a book of poetry, but that will probably be far down the line. I’d like to explore new and different ways to tell a story, something which I have already ventured into doing with my serials Extraordinary and The Writer. And I want to explore whatever theme may come to mind. I want to infuse more artistry into my writing than what is maybe in a lot of the stuff that we read today. And I definitely want to entertain. I, unlike a lot of writers, don’t want to be the next great American writer or the next Stephen King or Ernest Hemingway, I just want to write with purpose and actually be read. Outside of writing and film, I’ve always enjoyed hiking and biking. I also love swimming. I’ve wanted to hike one of these long trails throughout the US for so long. We have a few here, but I think most people know of the Pacific trail. It was chronicled in the book Wild by Cheryl Strayed and again in the Reese Witherspoon/Jean-Marc Vallee film of the same name. Unfortunately, I have severe back issues that require I not be on my feet or vertical throughout most of my day. Hopefully, I’ll get surgery soon. I also dabbled in inventing in my younger days. I had a few good ideas but I got sidetracked by my first love of storytelling, so I haven’t revisited my inventions. I’m thinking I might have to revisit a few now that technology has caught up with my imagination and original inventions. Unfortunately, the name Michael Stephenson might be better known in another forum first, before people know me as a writer and entertainer. The Man On The Roof is available to buy now. For more about Michael and his writing, you can check out his blog or follow him on Twitter. Croatia is a wonderful destination for a holiday, providing the perfect blend of culture, history and heritage and that all-important warm weather! Although there are endless things to do and places to visit, there are a number of must-see attractions and destinations that are sure to feature on any round-up list. Therefore, I've compiled a few of my favourites to share with you below! If you fancy taking some time away from the coast, head inland for a visit to Plitvice Lakes National Park. Officially designated as a UNESCO world heritage site in 1979, Plitvice Lakes is Croatia's premier National Park. Take a relaxing stroll through the wonderful landscape or alternatively, get a bit more adventurous with a hike through the Park. Don't miss the outstanding terraced lakes and waterfalls that Plitvice Lakes has to offer. This ancient palace was originally built in the fourth century AD for Diocletian, the Roman Emperor at the time. This fascinating example of ancient history and architecture remarkably still remains in use today, breathing life into the modern-day town of Split. Offering a splendid mixture of homes, businesses, shops and eateries, this stunning wonder is undeniably well worth a visit. Of course, no trip to Croatia would be complete without a visit to Dubrovnik. One of the most frequently visited and best-known cities in southern Croatia, Dubrovnik lies along the coast and offers a wealth of attractions and sights for tourists. Take a walk in the footsteps of countless others by strolling along the ancient walls of Dubrovnik, originally built as a means of defending the city. 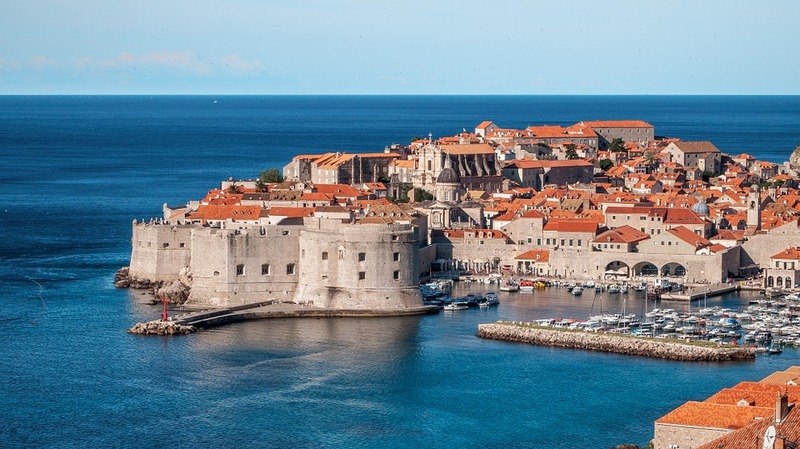 Alternatively, embrace the more modern side of the city and tour the filming locations used in hit TV show Game of Thrones, or simply step back and relax against the blissful backdrop of the Adriatic Sea. Also known as the 'Golden Cape', the Zlatni Rat is situated on the southern coast of the island of Brač. Boasting impressive coastal views, clear waters and beautiful white sand, this humble spit of land is the ultimate picture-postcard destination. For the more adventurous holidaymakers, watersports like windsurfing are also popular here. If you are planning a trip to take in the sights and sounds of Dubrovnik, don't miss your chance to also pay a visit to Srđ. This mountain flanks the city and offers the perfect opportunity to escape the city walls and get back to nature. Take a walk on one of the mountain's trails and make sure to check out Fort Imperijal, a defensive military fort built during the Napoleonic Wars. In addition to its wide variety of exciting things to do, Croatia is sure to offer visitors an unforgettable holiday featuring stunning scenery and a rich local culture. If you are interested in booking a trip to Croatia, look no further than HolidayGems for an affordable, memorable summer break. So, whether you are planning your next fun-filled getaway, searching for the perfect honeymoon destination or simply researching where to visit next, consider Croatia for your upcoming travel plans. With so much to offer, there really is something for everyone in this wonderful part of the world. Have you ever been to Croatia? Do you have any additional attractions or destinations to add to the list? Let me know in the comments below! Poetry Block is back, hip hip hooray! If you missed out on the last edition, featuring Erin Geil, don't forget to skip over and check it out! 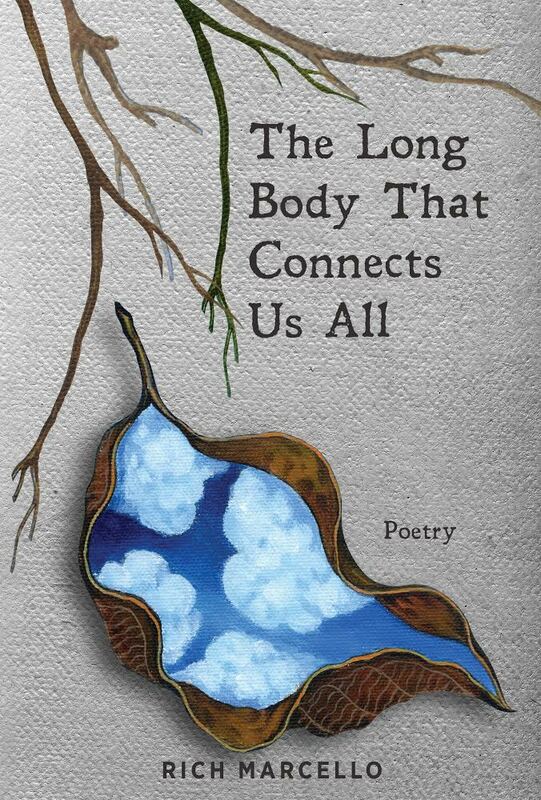 In this latest edition of Poetry Block, Rich Marcello is joining me to share an exclusive poem and let us know all the details about his new collection, The Long Body that Connects Us All. The Long Body that Connects Us All is available to buy now. For Rich, writing and art-making are about connection, or as he says, about making a difference to a least one other person in the world, something he has clearly achieved many times over, both as an artist, a mentor, and a teacher. Rich lives in Massachusetts on a lake with his family and two Newfoundlands, Ani and Shaman. He is currently working on his fourth novel, The Latecomers. If you want to keep up with Rich and his writing, check out his website. Are You Ready to Dive into the Wonderful World of Freebies? Who doesn't like a good freebie? People will do just about anything to get some freebies - from queueing for hours to get free doughnuts or doing the unimaginable for a lifetime supply of chicken nuggets, certain individuals will go to extremes for freebies. If you are planning on making it big in the freebie club, you have to know the rules of the game. If you have already played the game, stick around, you may learn a couple of tricks! It happens to the best of us - we hear about something so incredible being offered for free that our good sense goes out the window. There is the thought that all transactions have an upside and a downside, but when it comes to freebies, many of us can think of no downside. After all, when we hear the word 'free', it creates such a strong emotional response that we consider it much more valuable than it actually is. The truth is that many of us are guilty of forgetting our common sense when in pursuit of a good freebie. There are many companies that are willing to sell your first born in exchange for a tiny sample, so you need to have some protection in place. It is important that you make sure the freebie is truly genuine and that you have fully read the terms and conditions of the offer before you sign on the dotted line, so to speak. It is rare that you are ever going to get a full-size sample; it is always best to expect a tiny package or envelope. The company's main goal when offering a freebie is to see if you like the product enough to make a future purchase, not to help you stock up your kitchen on the cheap! Similarly, you should never sit there eagerly awaiting the arrival of every single freebie you sign up for. As a rough estimate, you will actually receive about 70% of all freebies you sign up for - as a generous estimate. As a reminder, it takes some time for the freebies to come rolling in, so keep applying and before long you should get some samples arrive through your letterbox. A handy trick is to read the terms before you fill out the form. This way, you can easily see how many samples are actually being given out and ensure applying is worth your time. You are never going to know if a company offers free samples if you don't ask, so don't be afraid to take the initiative and ask for samples. 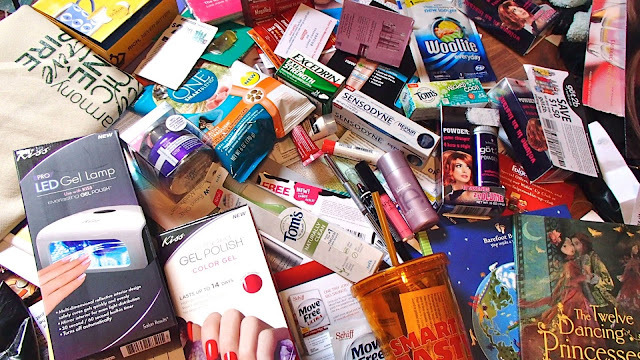 It is not uncommon for companies to send out a big box of samples or coupons to those who simply contact them, ask, and let them know how much they enjoy their products. Remember, sometimes it is just as important to let companies know when you don't like something. Many companies are more than willing to send out replacements with freebies and coupons if you are less than satisfied. Some people feel bad for asking for freebies from their favourite companies. However, they are benefitting from sending out samples more than you may realise. In fact, with every sample that they send out, they may be making one or more customers. In the end, if you get a product you really enjoy, you will more than likely buy it in the future, as well as tell others about it. As WOWFreeStuff advise, this step is perhaps one of the most important aspects of beginning your new freebie-hunting hobby. You do not want to be spammed with emails, which is why it is so important to create secondary social media accounts, emails, and possibly even a phone number which will allow you to claim freebies in peace. You will be glad you took the advice! Are you a freebie hunter? Share your story in the comments below! A central character in Katharine Johnson's novel The Secret is Villa Leonida. Villa Leonida stared back at Sonia, coolly defiant, battle-scarred but intact, daring her to come closer. The lemon trees on either side of the door had died in their pots. Grass had sprung up waist-high amid the stone chippings of the forecourt. The shutters were closed and skeletons of geraniums were all that remained in the window boxes. The sign tied to the rusted curlicues of the gates confirmed the rumours: Vendesi. For Sale. If you’ve read The Silence, which came out last year, you’ll recognise the house in Tuscany as the one Abby stayed in as a teenager in 1992 with dire consequences, a secret which she has maintained to the present day but which now threatens to explode into her comfortable English life. The secret that’s harboured by Villa Leonida in The Secret is very different and goes back to a betrayal in wartime Italy, although there is also a connection with the events in The Silence. The reason I’ve chosen to make the house the central character in both books is that I love old houses and the stories they hold about the different generations that pass through them. Although The Silence is usually described as a psychological thriller and The Secret is more of a historical novel, they are both about a house of secrets where everybody is hiding something. I’ve always been drawn to stories where a house plays a central role. My favourite of these has to be Rebecca by Daphne du Maurier – from that very famous opening line, “Last night I dreamed I went to Manderley again,” I was hooked. In Brideshead Revisited by Evelyn Waugh, the reader is seduced alongside Charles as he falls under the spell of Sebastian’s eccentric family. The crumbling and sinister Hundreds Hall is a main character in The Little Stranger by Sarah Waters, another of my favourite books. 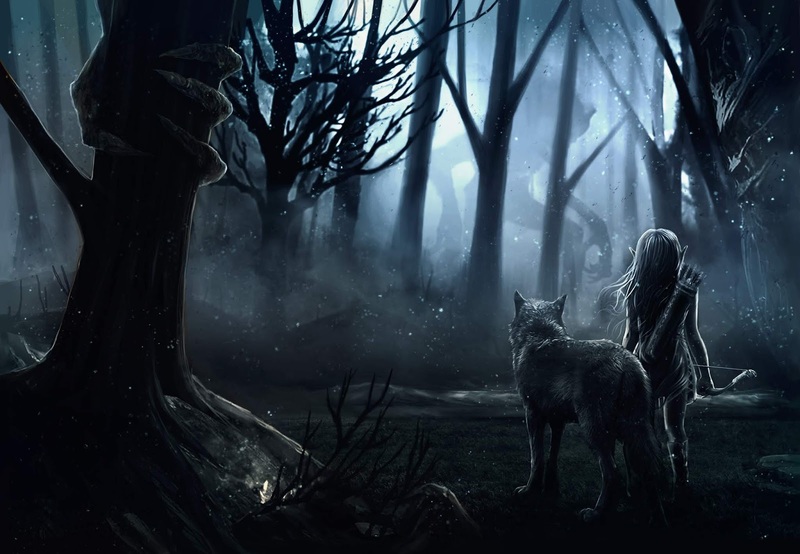 I love the gothic mystery surrounding Angelfield and the mysterious sisters that are brought up there in The Thirteenth Tale by Diane Setterfield. I’m a huge fan of Barbara Vine and one of her novels that stands out the most for me is The House of Stairs with its shabby Georgian house in 1960s London, the hedonistic characters and the way the story is set up so that throughout you know something awful will happen there. And for similar reasons I found The Poison Tree by Erin Kelly a real page-turner – you know something will happen that’s bad enough to get one of the characters imprisoned but until the end, you can’t be sure how it will happen. 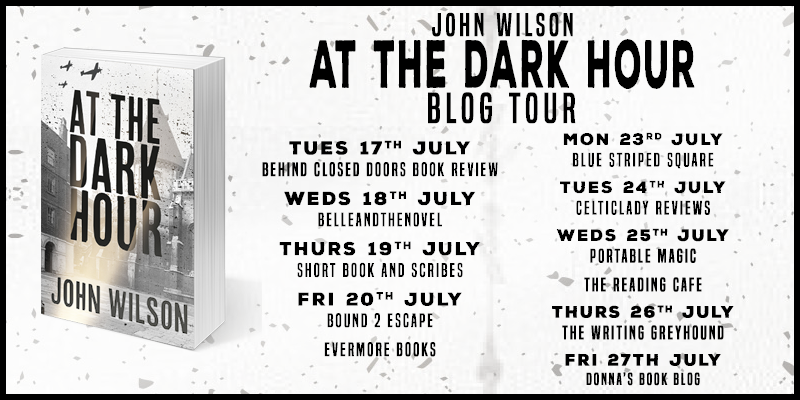 I’m certainly not pretending that my books are on the same literary level as these but because I’ve enjoyed reading them I’ve written the books I wanted to read – different stories connected by a house of secrets. Katharine Johnson has been a journalist, magazine editor, school dinner lady and stately home room guide. 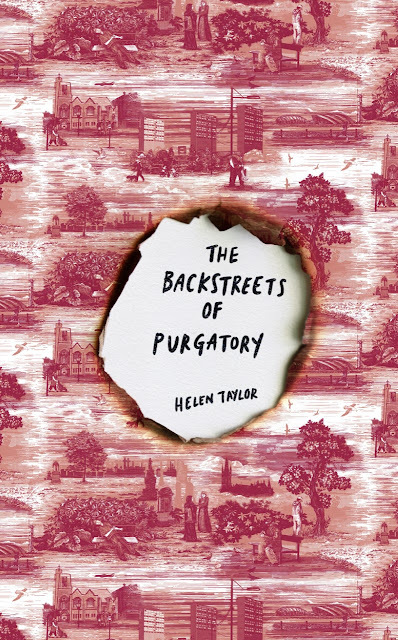 She writes about ordinary people in extraordinary situations and loves old houses, flawed characters and cake. When she’s not writing you’ll find her reading, playing netball, drinking coffee or walking her dog around the lake near her home while plotting her next story. The Secret is available to buy now. For more about Katharine and her writing, follow her on Twitter. 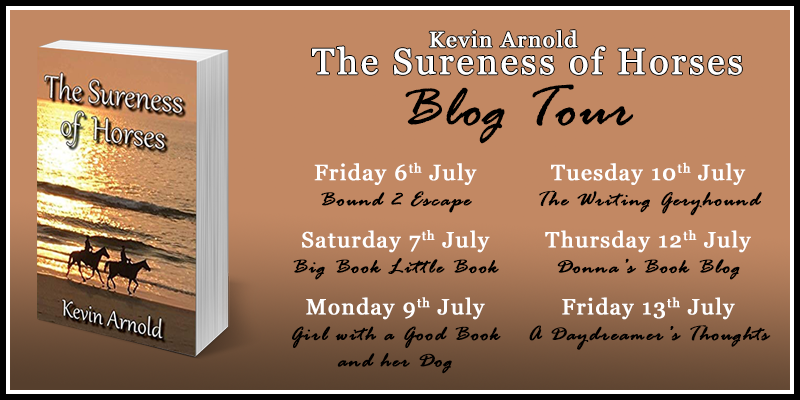 I am excited to be on the blog tour for The Sureness of Horses by Kevin Arnold - a wonderful story that I just can't wait to share with you all! For my stop on the tour, I am chatting with the author - keep on reading to find out more. 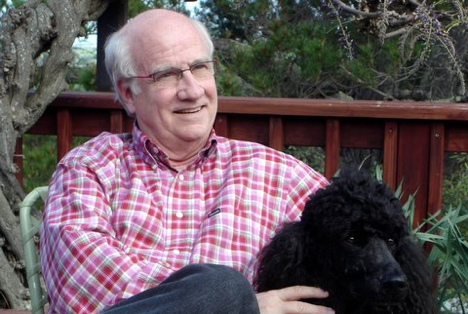 I’m transplanted from Barrington, Illinois, living in northern California since 1976. 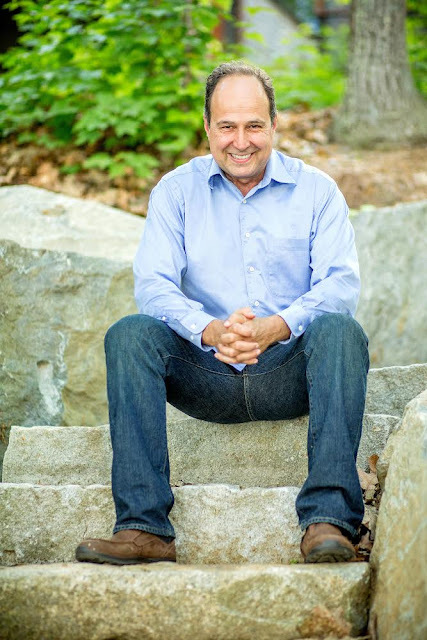 Although I had a 28-year career with IBM, I’ve never stopped writing. As a teenager, I read Winter Dreams, a short story by F. Scott Fitzgerald, and was so taken with it I wanted to do something similar. I published my first story in 1982, a book of poems in 2010, and now this novel, which seems to be catching on. Tell us about The Sureness of Horses. It’s semi-autobiographical, like the French notion of a Roman à clef. On a more intellectual level, I wanted to explore a what happens to Wade Middleton, ‘in the middle,’ a modern-day Everyman, when he makes one mistake that turns his world and the world of others upside-down. His actions kick off a murder-suicide that leaves a five-year-old girl an orphan. How can he live with himself? Why did you decide to write a romance? I tried to avoid genre fiction, but when I told my novel writing class at Yale the last thing I wanted to do was write a romance, they told me (correctly, I now believe) if it doesn’t work as a romance, it won’t work as a novel. That inspired many re-writes. Horses are a key theme in the book – are you a big animal lover? The hardest part of writing is to keep pushing on. Jack London said, “You can't wait for inspiration. You have to go after it with a club.” If I’m writing, the inspiration comes. If I’m not writing, I’ve learned tricks to push myself back into the process. My most creative ideas come to me as I’m waking up. Once I’m up and about, the trick is to carve out some time to see how my creative ideas work out on paper. It helps to teach a bit and belong to a strong writing community. I enjoyed running a Poetry Center, which I did for thirteen years. The world gives very few writers positive feedback it does to more commercially viable or politically correct activities, so one must push oneself. That’s the hard part. Oh, my, I sure miss Galway Kinnell’s presence on the earth. I loved The Goldfinch by Donna Tartt. Victor Hugo. I knew Raymond Carver and wrote about him. Although she’s currently considered too commercial, it would be wrong to ignore Edna Ferber. If I’m in a long dry period, I revert to pasting a gold star on a calendar for every hour-and-a-half worked on writing. I’ve found that’s a blank page that can get a writer going. Writers who are ‘blocked’ can support other writers by going to readings and hanging out with writers. Critique groups are great for support and deadlines. I’ve just started a sequel to The Sureness of Horses, set five or six years later. Wade and Diana, married, run into new problems surrounding ageing and illness. So many couples seem to have to deal with caretaking, so I find writing about that worthwhile. I’m reading Julia Glass’s A House Among the Trees, re-reading Updike’s Rabbit series, and keep up with Journals such as Threepenny Review and Kenyon Review. I’ve always pointed to Tender is the Night by F. Scott Fitzgerald, although it’s garnered some competition over the years. I have another novel virtually completed, one that touches on the subject of race. And I’ve just begun the new sequel to The Sureness of Horses. And I’ll always write poems - I finished a new one this morning! I play tennis and duplicate bridge. I travel, mainly to Europe, where I was a Naval Officer in the Mediterranean. And I have three kids, of whom I’m immensely proud. 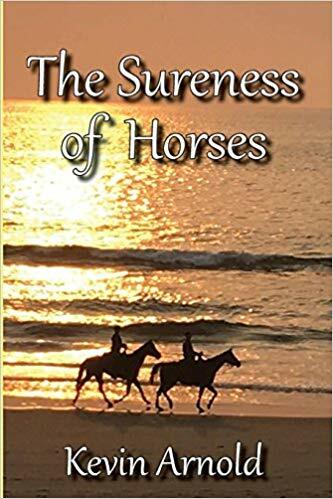 The Sureness of Horses is available to buy now. 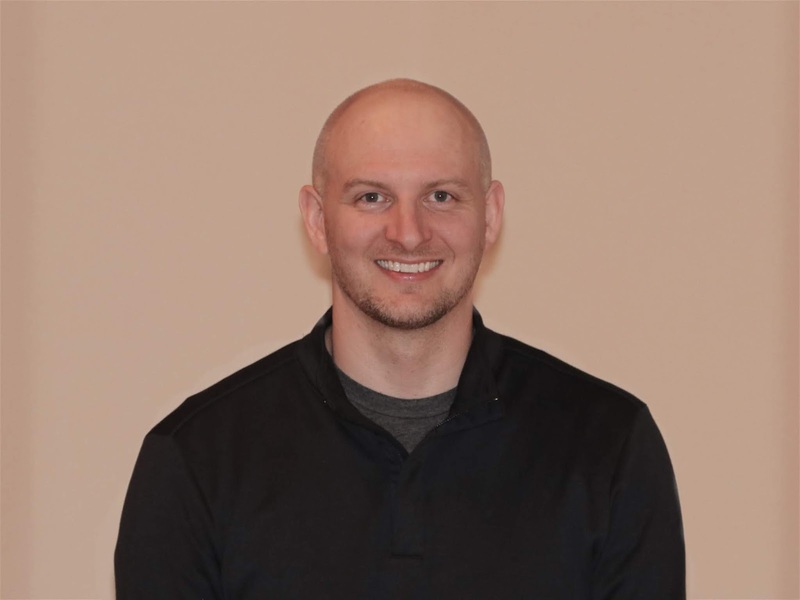 For more about Kevin and his work, why not check out this article? I started writing my very first novel when I was still at university and didn’t own a computer. It was back in the day when computer screens were made of green text. I wrote it by hand, on my university notepad. It was about a homeless guy who survives a hit and run, almost by miracle, and post-recovery turns from rags to riches on the tennis circuit. I showed the first chapter to my girlfriend, who later became my ex-wife. She read it, slated it, told me how little I knew about the tennis circuit, and how much research I needed to do before I could write a novel, and I made the worst mistake ever. I listened to her. As a result, I stopped writing for fear of not knowing enough about what I was writing. An entire lifetime passed between those timid moments of sharing my unfinished, raw thoughts with another person and now. I graduated, got married, had two kids, started and closed a multitude of businesses, got divorced, and forgot about writing until I did an MBA, oddly enough, where I realised I’d let some of my dreams fall by the wayside. I remarried, and Annie, my wife has been my inspiration for all my writing. In fact, if it wasn’t for her, I would never have gotten over that 28-year writer’s block. I woke up from a dream one morning and told Annie what I’d dreamt, and how it would make a great opening scene for a book. She virtually demanded the book from me, and pushed me, chapter by chapter until the book was done. 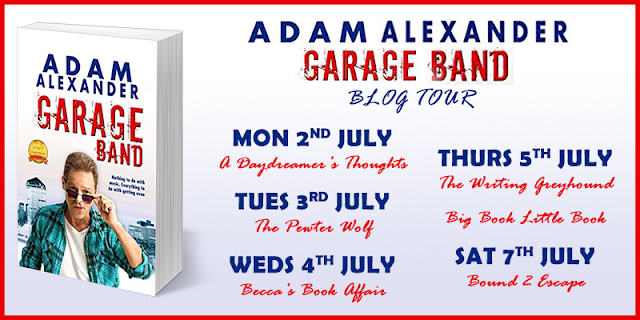 Of all the books I’ve written (five titles to date), Garage Band is her absolute favourite. She no longer gets my novels chapter by chapter now. Even Annie has to wait until the entire book is complete before I let her have the first draft. My favourite reward for my writing is to listen to her laugh as she reads the pages and to be the cause of her losing sleep because she can’t put the book down. I’ve been responsible for depriving her of her Sunday afternoon nap because the story was too exciting. I’ve also been in so much trouble for the way I ended one of my books that she called my mother to complain. I write because I love to tell stories. Stories captivate people, move people, and in the process of telling a story, I get to take your emotions on a journey. My best stories are the ones that make you laugh and cry but leave you feeling good. I don’t do hard-hitting and gut-wrenching. There is enough shock, horror and sadness in the world. When you enter my world, you’re going to be entertained, and you’re going to walk away feeling a rush, and a smile. Why read Garage Band? 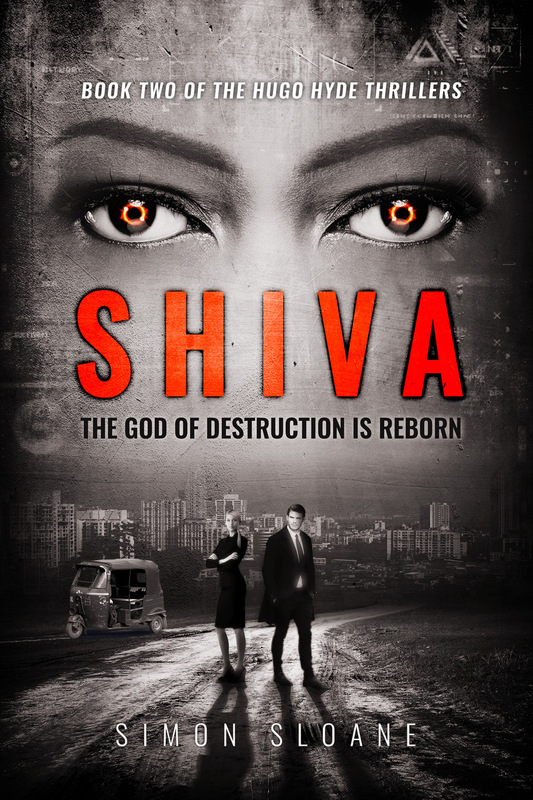 It’s a fresh take on the age-old theme of revenge. It’s been described as “raw, gutsy and entertaining”, with witty dialogue that has the reader in stitches. It has no shortage of suspense and plot twists that keep you guessing right to the end. My favourite place to write is on the patio table, overlooking the pool, to the sounds of the water feature, alongside Annie while she works her own magic colouring. Between my words and her colouring, we pass hours together. If I didn’t have to work, that would be where I spent all my time – doing what I love, with the person I love, and bringing a smile to you, even if just for a moment, in this world where we’re so desperately hungry for goodness. 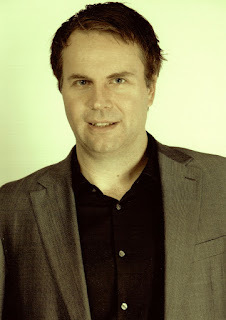 Adam Alexander is a multi-talented writer who has demonstrated his skill across multiple genres. His characters are just real enough to fall in love with, and just dark enough to doubt. His books have begun to gather international acclaim. 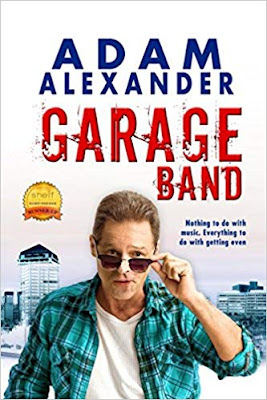 Garage Band was among only a handful of titles to be nominated as runner-up in the Shelf Unbound Best Indie Book of the Year competition, and the same title received a glowing Readers Favorite five stars. Garage Band is available to buy now. For more about Adam Alexander and his writing, check out his website or follow his latest updates on Twitter.